[Introduction] On November 1, according to the green lighting energy-saving action plan initiated by Beijing Municipality, the installation work of the energy-saving room of the power distribution room implemented by the State Grid Beijing Electric Power Company Urban Lighting Management Center was fully launched. On November 1st, the street lighting distribution room of the 4th district of Xiluoyuan, Fengtai District, Beijing moved into the new dynamic energy-saving lighting fixtures of new residents. On the same day, according to the green lighting energy-saving action plan initiated by Beijing Municipality, the installation work of the energy-saving room of the power distribution room implemented by the State Grid Beijing Electric Power Company Urban Lighting Management Center was fully launched. According to the Ministry of Housing and Urban-Rural Development Notice of the Twelfth Five-Year Plan for Green Lighting Planning, with the end of 2010 as the base, by the end of the 12th Five-Year Plan, the urban lighting power saving rate will reach 15, and the road lighting energy-saving evaluation rate will be no less than 70, urban lighting highlights. The application rate of the effective and long-life light source is not less than 90. According to the identified urban lighting high pole lights, single lamp single control, transformers, power distribution room, tunnel lights, and background upgrades, six energy-saving projects will be promoted with the guidance of efficient and advanced technology concepts. The Urban Lighting Management Center strengthens the introduction of green energy-saving project products, and comprehensively analyzes the test results, economic analysis, potential difficulties, and promotion programs to ensure that the new technology applications achieve the desired results. From the feedback data analysis of the energy-saving devices of the three distribution rooms of Fangguyuan Community, Chaoyangmen Bridge and Jinsong Bridge in Beijing, under normal operating conditions, the voltage of the lighting fixture should be maintained at the rated voltage of 90 to 105, which is 198 volts. To 231 volts. It is estimated that when the lamp voltage drops by 9, the luminous flux is reduced by 25, and the luminous efficiency is reduced. 5. Taking a 400-watt high-pressure sodium lamp for 4,200 hours a year, for example, multiplying the annual electricity saving rate by 15 can save 252 kWh per year. . Calculated at an average price of 0.71 yuan per kWh, it can save 180 yuan a year. The dynamic lighting energy-saving device installed this time is more advanced in technology than the previous thyristor (SCR) power saver and electromagnetic balance power saver. The dynamic energy-saving lighting device adopts power electronic technology to directly convert the commercial power, realize high-frequency chopping voltage regulation and intelligent adjustment, so that the voltage is accurately controlled, the stability is strong, and it is not polluted, thereby achieving the purpose of power saving. Fan Xing, the person in charge of the project, said. Taking the commonly used high-pressure sodium lamp as an example, when its working voltage exceeds the rated value, the life of the lamp is shortened rapidly. When the operating voltage is slightly lower than the rated voltage, the life of the lamp will be extended accordingly. However, when the lamp voltage is lower than 85 of the rated value, the lamp life will decrease again. The dynamic energy-saving lighting device installed this time just integrates these conditions, through reasonable control of the working voltage of the street lamp, and ensuring stepless and smooth during the adjustment process, determining the stability of the arc inside the bulb and effectively extending the service life of the lamp. Zhao Peng, head of the transformer maintenance team of the Urban Lighting Management Center, introduced. 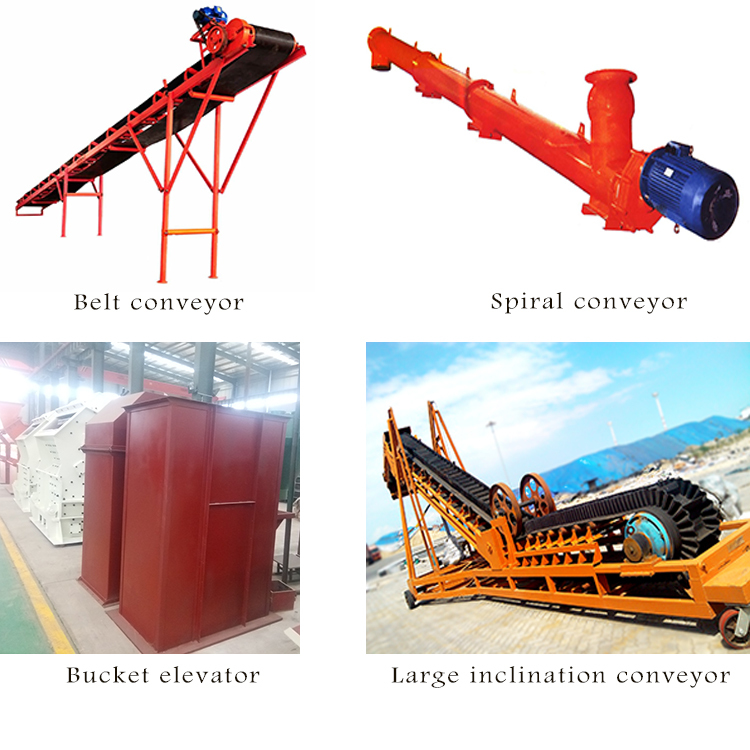 Mingyuan can provide different Conveyor for different materials: belt conveyor, Screw Conveyor( spiral conveyor), bucket elevator, and large inclination conveyor, it need to use the suitable conveyor machine to achieve large amount with low power consumption. Belt conveyor is for common material transportation with the max angle around 17 degree, the screw conveyor can transport powdery material up to 45 degree and bucket elevator can lift the material vertical to a designed height, usually 10-20m, and the large inclination conveyor can widely be used coal, food, building materials, chemical industry, hydropower, agriculture, ports, and metallurgical industries.